Mothers in Indian mythology are those special women who reveal enormous strength and character, displaying exceptional love and courage in the worst and best of situations. There is a significant aspect though. Motherhood is not merely worshipped as divinity but considers the living mother as a God for each of us through the concept of the Mother Goddess: the personification of Motherhood, Fertility, Nature, Creation, Destruction and the Bountiful. Be it Bhumidevi, or Mother Earth. Or Shakti, who represents the feminine aspect and the energy and power of the Supreme Being – the Brahman, as well as the empowering and protective nature of motherhood. Worshipping mother as God or God as mother has been immanently woven into a continuous living tradition so much so that the essence of universal divinity seeps as personification of a personal mother. Sita, Kunti, Yashoda, Kaushalya are the immediate images of mothers that comes to the collective mind. But interestingly, each of them – and as are the various ‘mothers’ in our mythology – are different in role and manner. 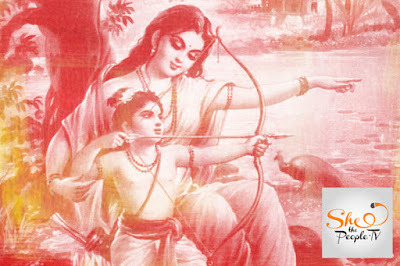 If Sita is the other half of Ram, her predominant personality is she as the mother of their twin sons Luv and Kush, born and brought up by her alone, not in the palace of Ayodhya, but in the forest in Rishi Valmiki’s ashram. As the exiled queen, she brings them up as warriors just as another single mother does likewise – Shakuntala. She too, is abandoned by her king, but as a strong and proud mother brings up her son in the lush anonymity of the forests to eventually challenge the father as do Sita’s twin sons. Jabaal, a woman of dubious repute, is another lone mother, the woman who brings up her child on her own without the support and sanction of a father or society. Her son grows up to be the famous Rishi Jabaali, taking his mother’s name rather than of a father he does not know of. Hidimba, the wife of the Pandav prince Bhim, is also a single mother who raises her son Ghatochkach as a warrior in the wilderness of the forests and who eventually saves the day and the life and the future of his father and his kingdom with his brutal death. Goddess Parvati is known as the Mother Goddess of fertility, love and devotion. She is the gentle and nurturing aspect of Shakti who creates her son, Ganesh, not from her womb but out of clay, out of her own energy, creativity and for her own reason. Then there are the foster mothers who play a significant role in the narrative and the lives of their respective children. Krishna is the son of Devaki and brought up by Yashoda but it is the Yashoda-Krishna paradigm who colour our minds, folk songs and the arts with the theme of the eternal mother and child. Their love is forwarded into Vakula, the foster mother of Lord Venkateswara. As the story goes, Yashoda is reborn as Vakula when she weeps to Krishna that she could not be part of his later life and could not even attend any of his marriages. He promises her she would get the same opportunity later in the next Yuga and Yashoda becomes Vakula. Another adopted son who does his most for his mother is Karna, who, though born from Kunti, is raised by Radha, but always calls himself as Radheya, the son of Radha. Kunti dominates the narrative in the Mahabharata, as the widowed queen mother of the Pandavas. Interestingly her motherhood is seen through different offsprings – as the unwed mother of Karna, her first born; as the mother of the Yudhishtir, Bhim and Arjun born through niyog (where a woman whose husband if impotent or dead would request and appoint another man to have a child). And third, as the stepmother to the twins Nakul and Sahadev, again the niyog-born sons of Madri, her husband Pandu’s second wife for whom Kunti reserves a soft corner, possessive and protective till the very last. She is starkly different when as the mother of the Pandavas, she fights fiercely for their lost rights even if it means she has to push Karna to a certain death to save the Pandavas. She does it even as her heart breaks but not her will. Satyavati, is another mother who get embroiled in the royal intrigue of her times. Like Kunti, she has a son before marriage – who grows up to be Vyas the author of the Mahabharata. Her other two sons from the Kuru king, Shantanu, die before providing an heir to the throne wherein Satyavati recalls her first son to help her, thereby willing him the status and respect which Kunti could never credit Karna. She begs Vyas to perform niyog on two young, widowed daughters-in-law and so are born Dhritarashtra and Pandu, the fathers of the Kauravas and the Pandavas. Satyavati is essentially defined by power and politics: ambitious, determined, forceful and above all, the queen of her land. Draupadi surprisingly is rarely seen as a mother figure though she was the mother of five sons from her five husbands, all of whom she loses to a horrific death at the end of the war of Kurukshetra. She is the vengeful wife who finds a closure of her public humiliation in the bloody battlefield but as a mournful mother she is seen as a more forgiving person – she pardons her sons’ murderer (and her two brothers as well) – Ashwatthama because in him she sees a man overpowered and broken, signalling the end of the violence and bloodshed. She has no wish to carry on vengeance and animosity and remains the most silent tragic mother unlike Gandhari, the mother of the Kauravas, on whose death, she curses Krishna that he and his clan would die ignominiously, holding him solely responsible for the gory death of her hundred sons. Gandhari shows the terrible wrath of a grieving mother as does Surpanakha, who promises vengeance on Lakshman, the killer of her son. She is, though, never seen as a ‘mother’, with no maternal attributes but as the scheming sister of Ravan, the king of Lanka. Her sister-in-law and Ravan’s wife Mandodari is again the selfless mother who is forced to sacrifice her son for her husband’s vanity and ego. 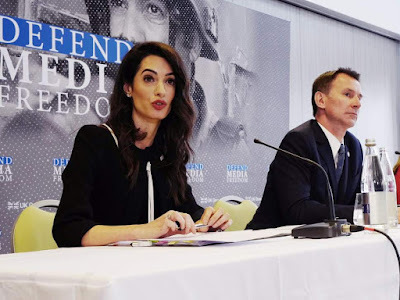 After her husband’s death, she agrees to remarry – Vibhishan her brother-in-law, solely to safeguard the interest and the royal rights of her dead son and her infant grandson. As does Tara, the widow of Vali who marries Sugriva, her brother-in-law to retain the rights to the throne for her son Angad. Motherhood and politics are intertwined as a volatile thread woven in the narrative of both the epics. In the Ramayan, if Kaushalya is seen as the supreme mother who has to sacrifice her son in the face of her husband’s helplessness and Kaikeyi’s ambition, Sumitra is the eternally wise mother who sheds not a tear when her son Lakshman decides to accompany Ram in his fourteen year exile. Kaikeyi is doomed to be the evil stepmother whose personal fear and ambition for her son Bharat ends in her downfall, ostracised by everyone – even by the son for whom she lost her all. The three queens of Kosala are seen essentially as mothers – rarely as the three wives of the king whose desperate love for an heir makes them what they are meant to be. Motherhood is not always glorified as the ultimate embodiment of love, devotion and sacrifice. 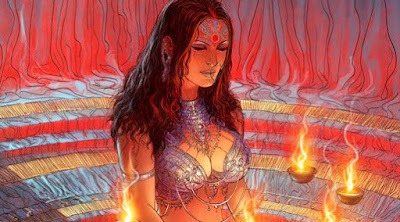 There is a Ganga who destroys to prevent annihilation – when once, in her mortal form she kills her seven babies from King Shantanu for the cursed Vasus (elemental gods) to seek moksha – salvation. Then there are some heartless mothers too – exemplified through Menaka and Urvashi, both apsaras, who abandon their newborns (Shakuntala and Rishyasringa) with the respective fathers (ambitious rishis and besotted kings) and return to Devlok to continue their work as assigned. Motherhood is exalted as a divine fundamental truth with all mortal flaws with the Divine Mother who nourishes, preserves, protects and destroys in her different manifestations representing both creative and destructive universal forces. She is the life form giving birth to all – sustaining and nourishing them through her body, heart and will. How does the royal family make its money?